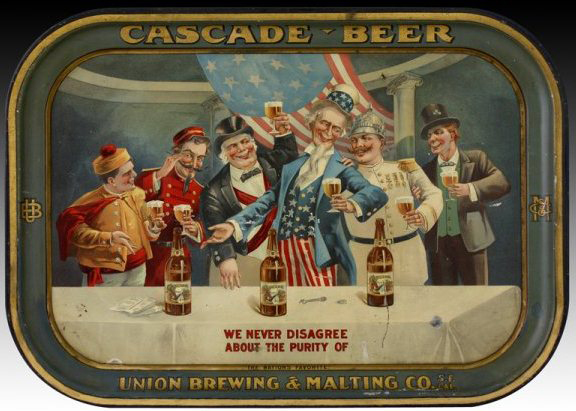 Serving Tray for Cascade Beer from The Union Brewing & Malting Company. Text along the bottom states “We Never Disagree About The Purity of” talking of the brew itself. The center shows a depiction of world leaders gathering and enjoying the company’s brew. Uncle Sam standing as the central figure.